The tanner has the option of obtaining further qualifications through a modular extra-occupational programme for the designation of federally recognised Certified Foreman specialising in chemistry and the additional qualification as Tannery and Leather Technician. The two-year extra-occupational programme for Certified Foreman specialising in chemistry is offered by the Sächsische Bildungsgesellschaft für Umweltschutz und Chemieberufe Dresden mbH (Saxony Educational Association for Environmental Protection and Chemistry Occupations), www.sbgdd.de. An occupational certificate in a specialisation such as Tanner with one year of work experience or an occupational certificate with two years of work experience is required for admission. The Foreman is a qualified technical manager whose responsibilities focus on managing teams or departments of industrial operations. The instructor qualification examination is part of the qualification as Foreman. After passing the examination for the master craftsman’s certificate, the Foreman receives a master craftsman’s diploma recognised throughout the EU from the Chamber of Industry and Commerce conducting the examination. Training as a Foreman focuses on two main areas: general, basic qualifications and qualifications in a specialisation. The one-year additional qualification programme as Tannery and Leather Technician is offered by the Forschungsinstitut für Leder und Kunststoffbahnen gGmbH (Research Institute of Leather and Plastic Sheeting) in Freiberg, Saxony (www.filkfreiberg.de). It consists of classroom seminars and self-study. The objective of the additional qualification is to acquire more in-depth theoretical and practical knowledge specific to leather. 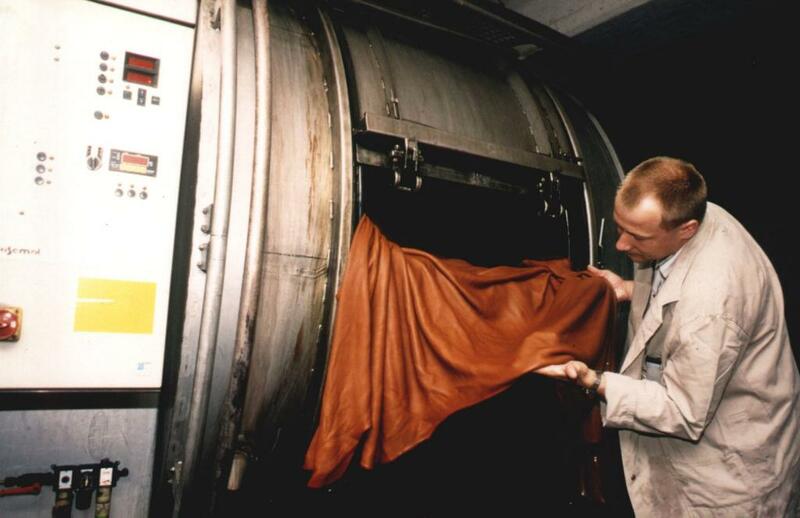 Furthermore, managers such as production managers or the heads of development departments are to obtain a comprehensive understanding of all tasks associated with leather production. Holders of the following certificates, among others, qualify for admission: Foreman specialising in chemistry or the textile industry, orthopaedic shoemaker, saddler or master fine bag maker. This additional qualification can also be obtained by participants who do not hold such a certificate but can provide proof of sufficient work experience, e.g. as a tanner. Preparatory courses are offered for this purpose by the Sächsische Bildungsgesellschaft für Umweltschutz und Chemieberufe Dresden mbH (Saxony Educational Association for Environmental Protection and Chemistry Occupations) in order to ensure that all participants are at the same level. The following certificate is awarded after passing the examination conducted by the chamber of industry and commerce: Certified Tannery and Leather Technician. For further information, please contact the Forschungsinstitut für Leder- und Kunststoffbahnen gGmbH (Research Institute of Leather and Plastic Sheeting) www.filkfreiberg.de or the Verband der Deutschen Lederindustrie e.V. (German Leather Federation).